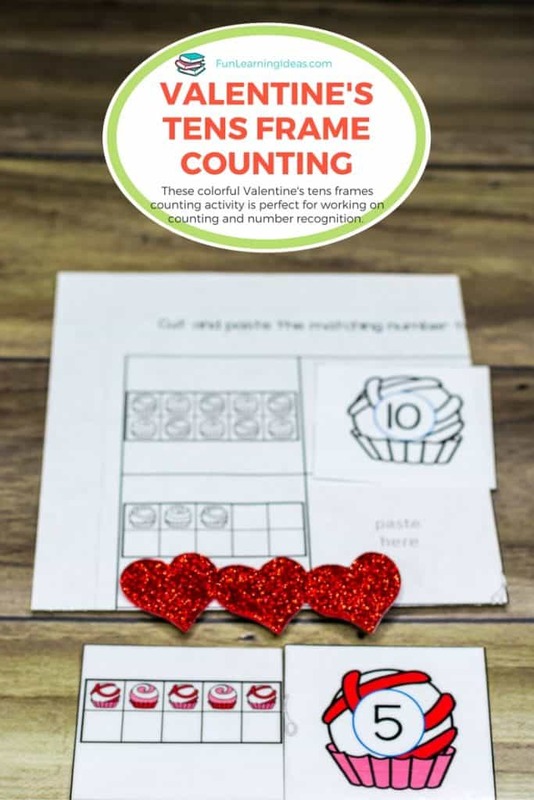 I am sure our Valentine’s Tens Frames Worksheets and Cards are sure to be a hit with your kindergartner because my son would not put them down. Luckily when it was time to end the activity, I followed it up with our Valentine CVC Words activity. “Billy, please pay my telephone bill of $30 for me” and he pays $300 mistaking $10 bills with $100!! 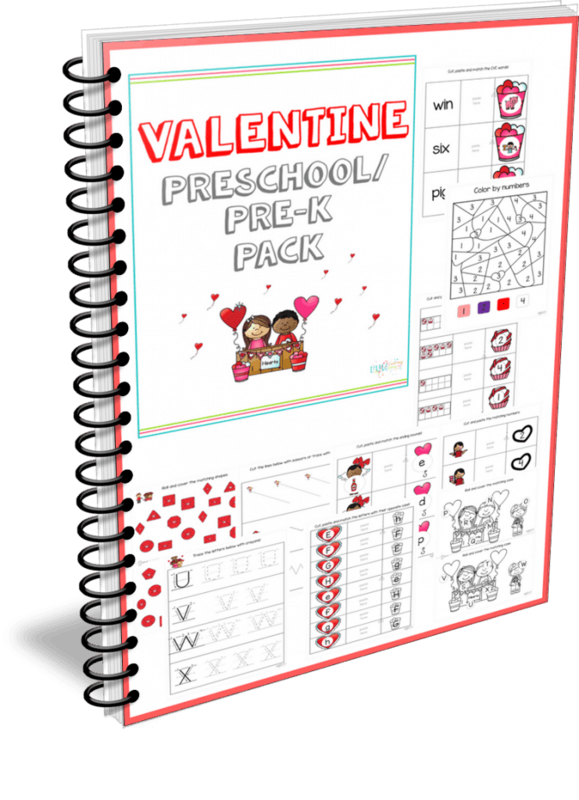 First, print either the color of the black and white version of the tens frame worksheets. 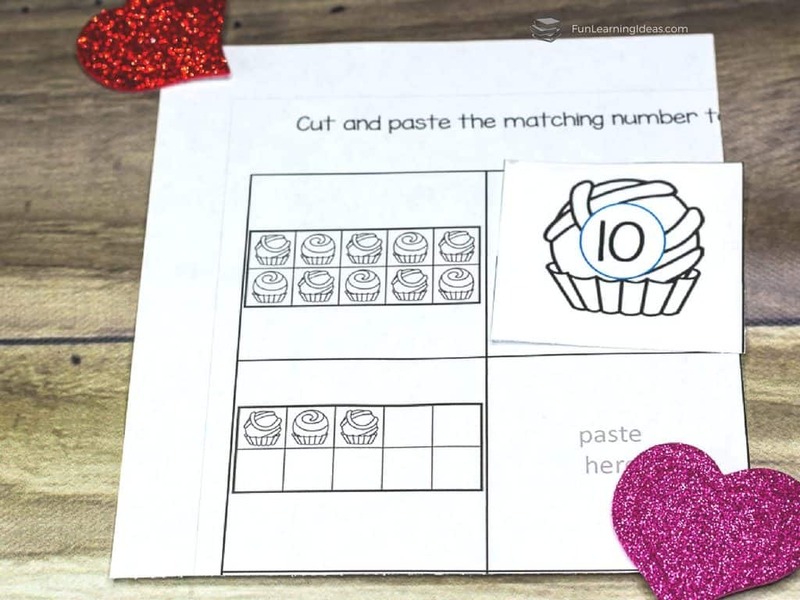 Then use a paper trimmer to cut the right column that has the number cards. Lastly, have your child paste the correct number beside the tens frame. Cut the right column that has the numbers and place in a pile or a small basket. Do the same for the column with the tens frames. 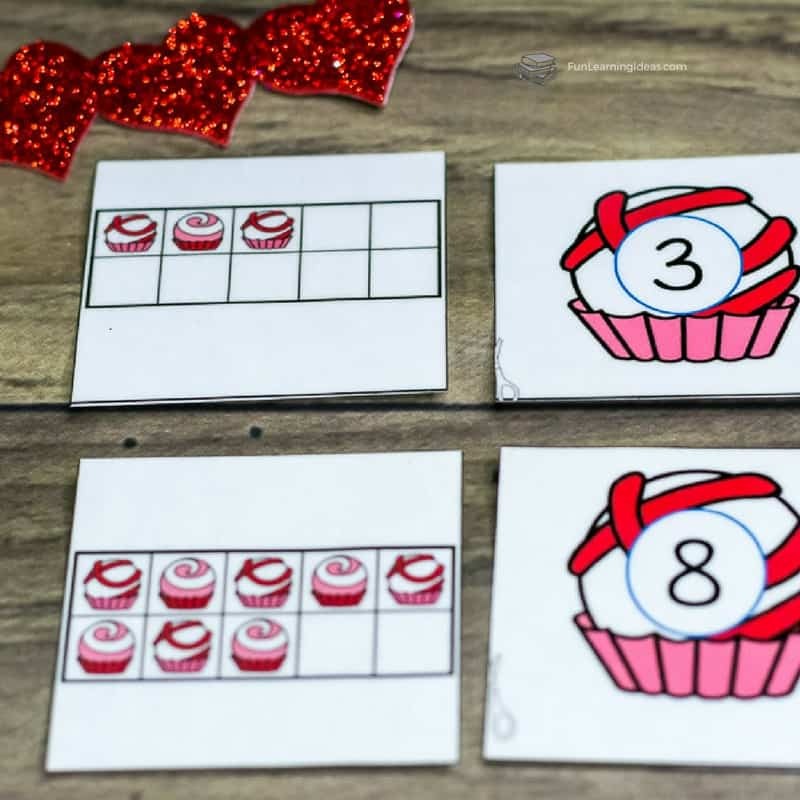 Simply allow your child to match the tens frames to the number cards! I just wanted you to know that the Valentine Ten Frames link is incorrect. Please advise when it’s fixed.